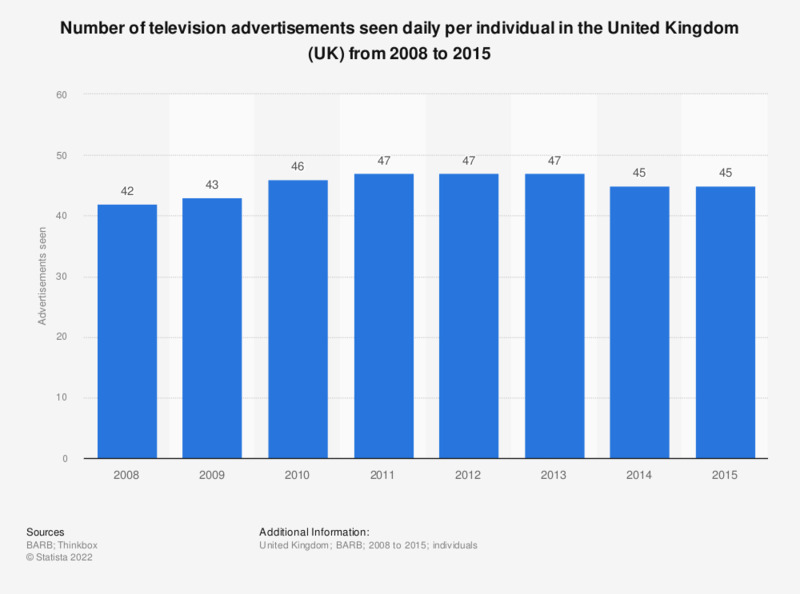 This statistic displays a timeline of the number of TV ads seen per individual per day in the United Kingdom from 2008 to 2015. In 2012, individuals saw on average 47 television commercials or advertisements per day. Only includes ads viewed at normal speed. Data previous to 2014 published earlier by the source.